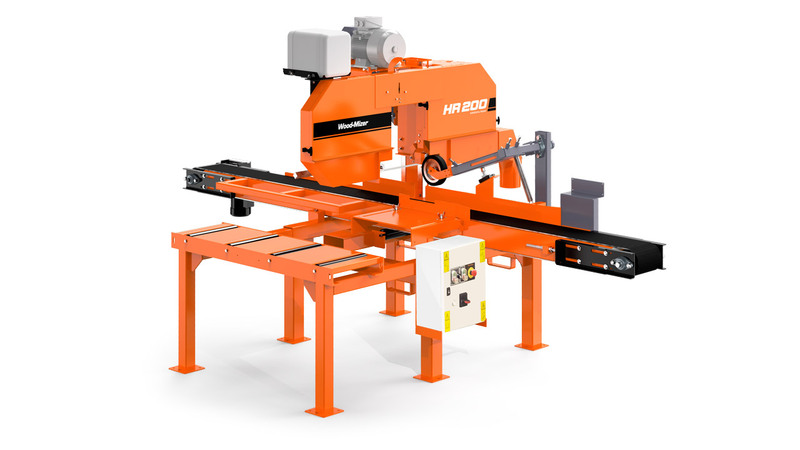 The HR200 is an ideal resaw to increase production on your breakdown sawmill. Instead of cutting boards on your sawmill, adding the HR200 enables you to cut cants on the sawmill and feed them directly through the HR200 to drastically increase your production and maximise the productivity of your principle sawmill or recovery line. This quality, single-head resaw was designed to run all day for years with minimal maintenance. The compact size and simple operation will fit seamlessly into high production log processing lines.